Tisha Carlisle has been in the real estate industry since 2004. She then received her real estate Brokers license in 2011. She worked through the market down turn with two other local companies. Then she began working for SEI Real Estate Professionals in 2014. She loves the work environment at SEI because all of the agents are very professional and hardworking. She believes they make a great team. She currently services all of Navajo county and her main areas of service are Snowflake/Taylor and Holbrook. 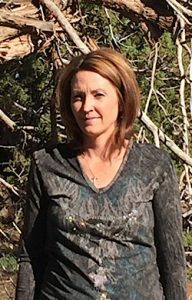 She and her husband are raising a son and twin daughters on a working cattle ranch located west of Snowflake. Her hobbies include spending time with my family, supporting her kids at all their Jr. Rodeos and sporting events, traveling when she can find the time, and going to church at her local Calvary Chapel.